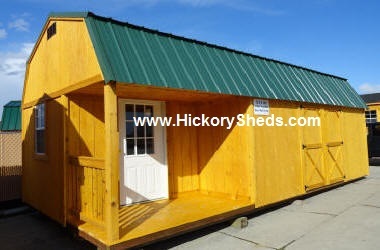 The Side Porch is stylish and practical and can be added to the Utility or Lofted Barn. It is available in 12" and 14' widths. 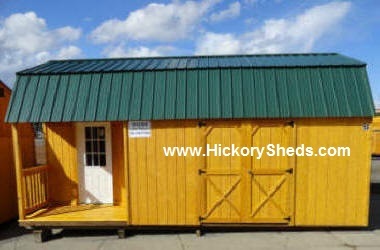 Features for all Side Porch buildings include a 36" 9-lite door, 2-2'x3' windows, and a 4x8 foot side front porch. Can be ordered with the porch on the left or right side.